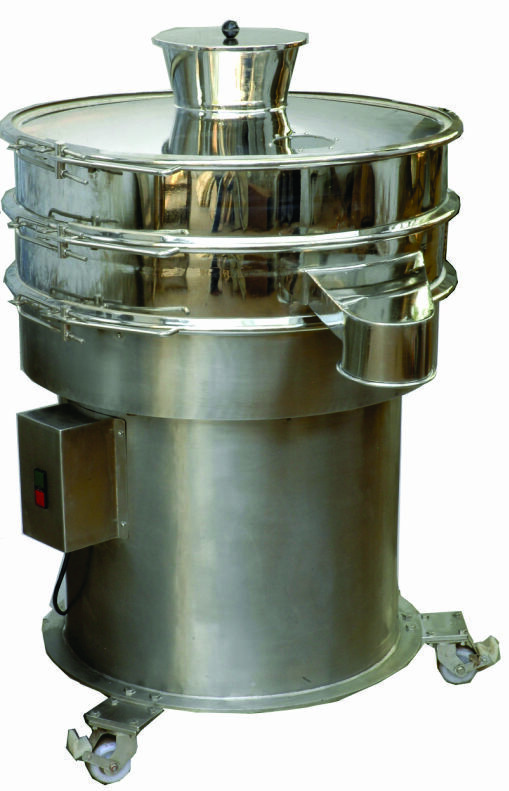 Vibro sifters are used for raw material sieving in Pharmaceutical, food & chemical industry. raw material is fed through in feed hopper & there is a sieve of required mesh size through which the sieved material falls. There is Vibro motor & spring type suspension system through which the vibration occurs the Vibro motor are transmitted to the sieve chamber. As it vibrates the material gets shifted or sieve through it. Simplified design & construction which is trouble shooting maintenance free. All contact part are from S.S. 316 & rest from S.S. 304.
for dust free system, gaskets can be used at in feed mouth & at the out let mouth of this sifter. Vibro motor gives trouble free performance for much longer time & so it is better than mechanical sifters. 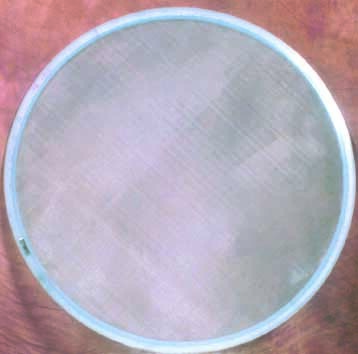 Removal of sieve is very easy as there are user friendly clamps for change of sieve for chamber. Castor wheel which are PU coated (optional) with S.S. brackets & thrust bearing ensure easy movement of Vibro sift in the production area. Low power consumption compared to other vibrating system. Electricals 0.25 HP. 3 . A.C. 0.25 HP. 3 . A.C.
* Varies according to product characteristic and screen type.